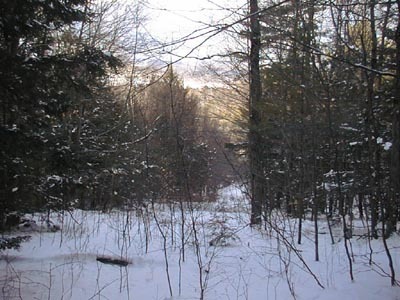 Mohawk Trail Skiway was founded sometime in the late 1950's, though the exact date of the start of the ski area is unclear. 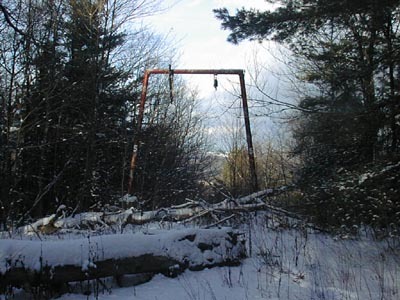 The area was located on Rte 2, about 3-4miles west of Greenfield, MA in the town of Shelburne. The area opened with one 1000' rope tow and several slopes, with a future Tot Tow planned. 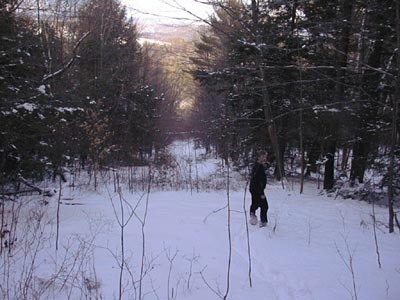 Trails had a Native American them (like Nashoba). According to Jeremy Clark, the owner (at least at one time) was Ethel Mae Richardson. 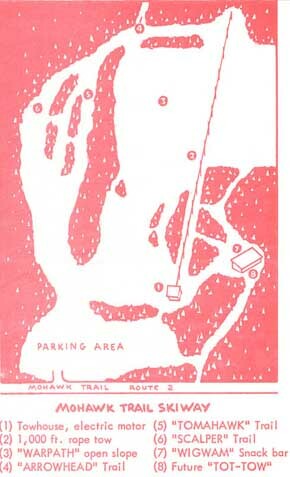 Here's a trail map from one of the first years of Mohawk, probably near 1960. A good amount of terrain for just one rope tow! 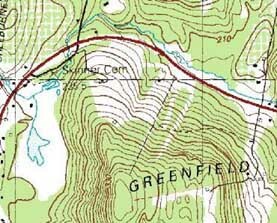 Trail map courtesy of the New England Ski Museum. The area grew during the early 1960's, adding a beginner tow, then an upper tow. 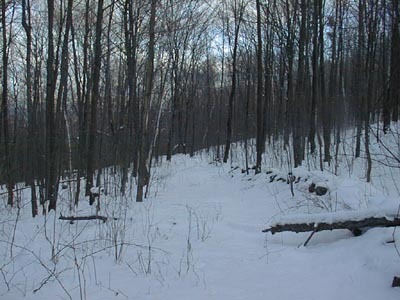 The trail "Scalper" was merged with "Tomahawk", creating a "steep and sporty run". Another trail was named Scalper in its place, near the beginner area. 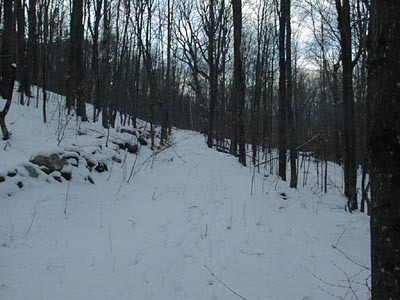 Narrower upper mountain trails gave way to lower, wider slopes. 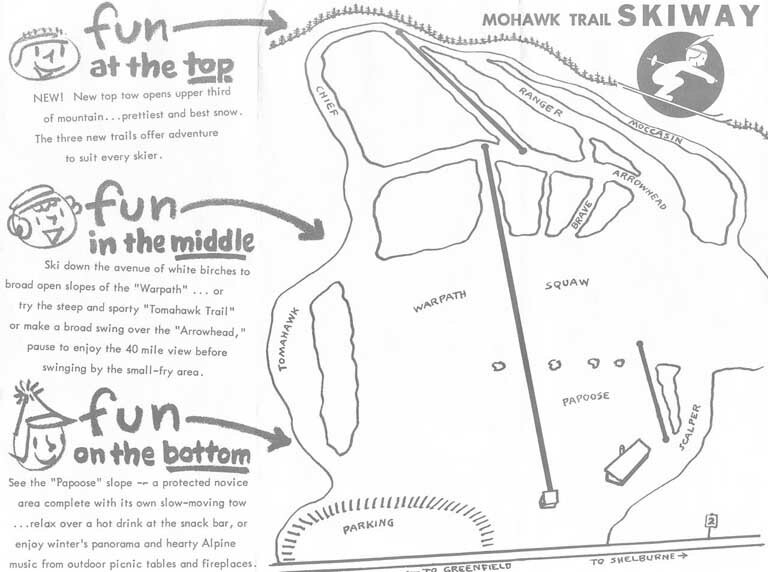 Here's a trail map from the early 1960's, also courtesy of the New England Ski Museum. Around 1964, the area expanded dramatically, adding 2 T-bars. Unfortunately, we have no additional trail maps from this time. However, given this Terraserver image some inferences can be made. 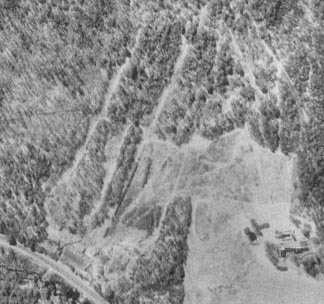 It appears that one T-bar was built on the far left side of the ski area, perhaps up or near the Tomahawk slope. Another T-bar may have been parallel to this, but that is unclear. Apparently, the owners of a house (shown here on the map) likely cleared away some of the trees, making proving this difficult. You can still see the upper tow line (a straight trail) on the upper right of the ski area. The area offered no snowmaking, which certainly hurt it during the almost snowless 1979 and 1980 seasons. The area was also being eclipsed by larger resorts, and was likely the reason for it closing in the early 1980's, perhaps as late as 1985. 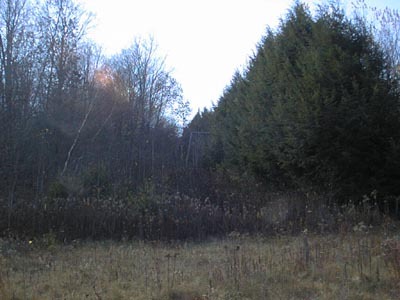 An interesting tidbit...there is a possibility that the upper half of the mountain is owned by none other than Bill Cosby's wife, who owns land in the area! If somebody has definite proof that, please let us know. If it is...should we ask Bill Cosby if we can explore the area? Joshua B: I used to ski at this area with my parents in the mid-late 1970s. I was probably between 4 and 9 years old. We really enjoyed the area, with it's T bars as the only lifts I believe. Anyways, yesterday I drove through the Mohawk trail on Rt. 2 and found the old ski area, thanks to my dad for describing accurately where it would be. 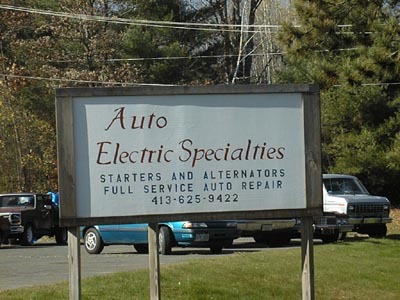 The base is now "Auto Electric Specialties." 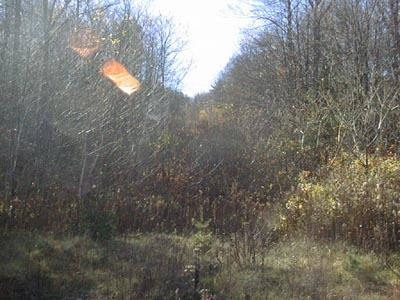 The trails are very overgrown and I could only make out two, the liftlineand another trail. 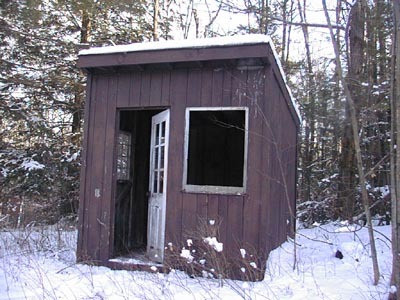 Spoke to my mom about it last night and she reminded me that there were no bathrooms in the base lodge--but there were outhouses! Josh Segal: I skied there in the early 70's. My recollection was that the bathroom were outhouses labeled "squaw" and "brave". After visiting the "brave" pne, I understood why they called it that! 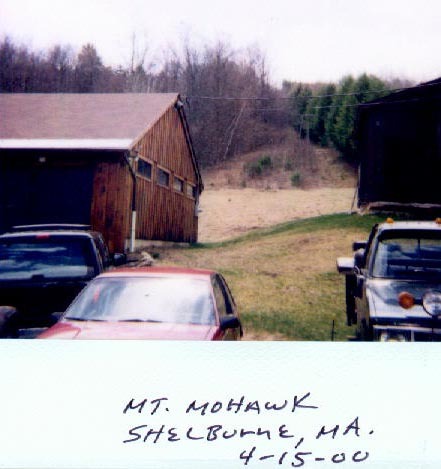 Jonathan Sheffz: Mohawk Mtn - Definitely closed by 1985, although some of the upperclassmen on my college team then seemed to recall it still operating only a few years earlier. 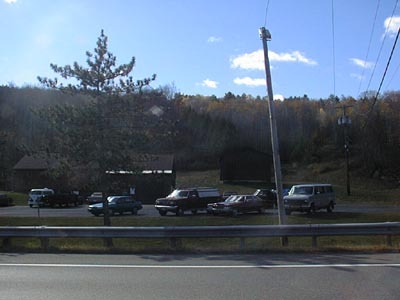 A business is now located at the former ski area base. Jeremy Clark: Mohawk Mountain is still very much visible from Route 2 in Shelburne. A car repair shop/dealership type of business renovated the lodge and uses it now. 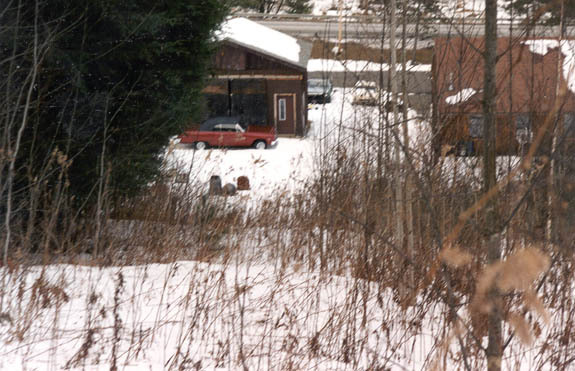 The T-Bar towers are still in place, along with the shack at the bottom. You can also still see a rope tow in tack to one side. 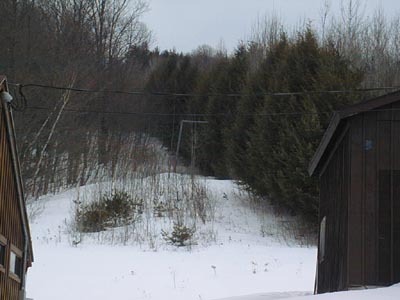 Dave Kulis: I skied at Mohawk Mountain ( on Route 2 in MA) once as a kid, and still pass by the old area quite a bit in my travels. 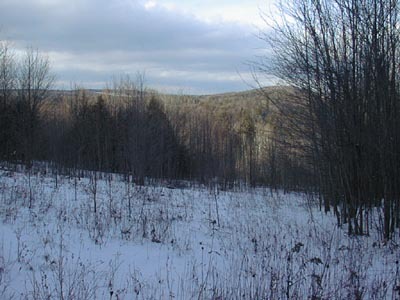 To the right of the t-bar was a wide open slope, to the left were classic New England trails. 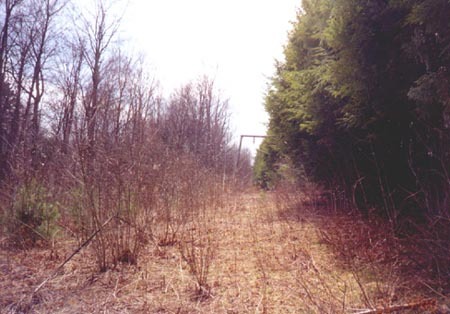 (Neither of which were very long, by the way) The area has rapidly overgrown, and one of the lift areas (I never skied it) has been sold off as a private home site. The day I skied it, it was solid ice and about 5 below zero and I'll never forget it, because I went in the lodge and asked the owner if I could "test the product" before buying a ticket. He agreed, so I took one run, went back and asked him if he was planning to groom. He said, "I figure the sun will soften things up a bit." Keep in mind it was 5 below and we had just experienced an ice storm. Needless to say, it was my one and only run there. After the area closed, an Auto Electric Specialties store was built at the base. I'm fairly certain the ski area is on private property, so I wouldn't hike up it without permission. 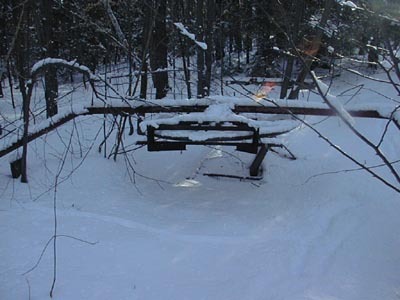 The T-bar is still standing. 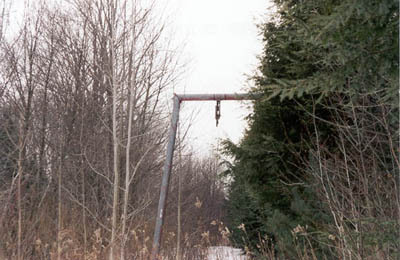 Here's a picture of the T-bar taken in March, 2001, thanks to Joshua B. A close up of the tower visible in the picture above. Taken by Chris Lundquist. 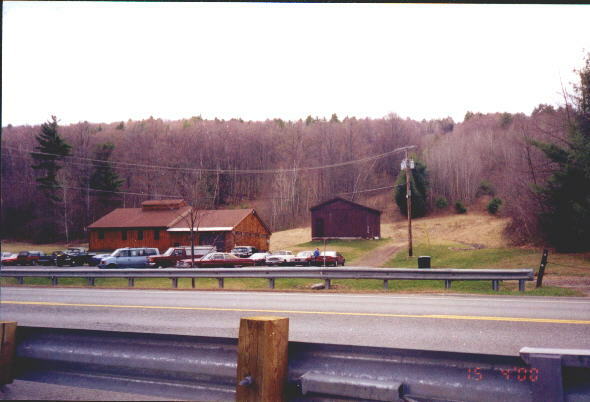 A view of the base area, taken by Brian O'Malley. Another view of the base area. The base of the T-bar. Looking up at the mountain. 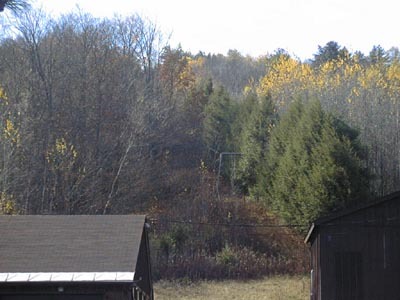 A view of the T-bar in the fall. The sign of the Auto store. Return drive for T-bar at top.. A trail or two go off the back side of the mountain behind it. From Joshua B. Cool turn! If you have further information, please email us.